The Bon Voyage Inn has a proud history of providing welcoming accommodation to visitors of Prince George! The Bon Voyage Restaurant offers a friendly family environment with daily features including a famous Sunday brunch buffet. 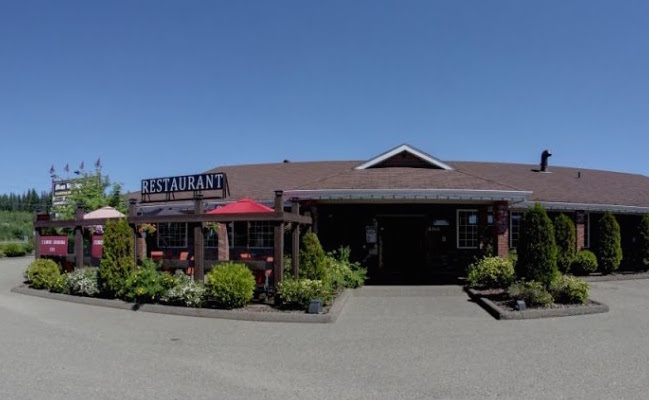 Located West of Prince George, the Bon Voyage Restaurant offers a friendly family environment with daily features including an extensive Sunday Brunch buffet. Fully licensed, the restaurant is available for catering to business and social gatherings. The Bon Voyage Restaurant is a fully licensed, family friendly location with 160 comfortable seats. The Bon Voyage Esso station is open every day from 5:00AM to 11:00PM and offers a multitude of services. Only steps from your room, the Bon Voyage Plaza has a variety of shopping and services including Sunset Drycleaners & Laundromat. From your room you are a five minute drive to UNBC, ten minutes to downtown, and situated perfectly for a trip to or from Western BC. © 2015 Copyright Bon Voyage Inn. All rights reserved.